I am terrified of heights. The thought of throwing myself out of a plane terrifies me even further and when I think of ‘skydiving’ I’m afraid I just picture falling uncontrollably and rapidly towards the earth, but for those who would love to try the high adrenaline activity with less of the risk, there is an alternative – Indoor Skydiving at Bodyflight, Bedford. Bodyflight Bedford is one of the largest wind tunnels in the world and offers customers the chance to “free fall” without so much of the “fall”– Can’t quite picture it? Check out the video below. It turns out that jumping spread-eagle into a vertical wind tunnel and hoping for the best isn’t all there is to it. Since 2005, BodyFlight at Twinwoods Adventure, Bedford hosts the famous annual World Challenge competition, the biggest Indoor Skydiving competition on the planet! And for the pros there’s a whole lot of competition to be had. In groups of 4 or 8– competitors perform choreographed routines in the wind tunnels all whilst floating in mid-air. 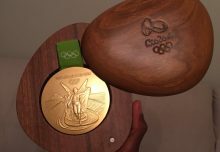 I have to say, it is pretty impressive and all competitors put on medal-worthy performances. 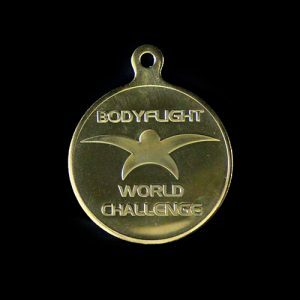 April 6th and 7th 2018, The BodyFlight World Challenge will take place at Twinwoods Adventure, Bedford. The Sports Centre, which is not only home to the largest wind tunnel but also a wide range of sporting activities and entertainments, will hold 10 rounds across 2 days of competition, with over 300 competitors from approximately 24 different nations taking part in both Formation Skydiving and Free Fly. This is the largest meet on the international skydiving calendar and the winners will walk away with a bespoke sports 50mm minted medal in gold, silver and bronze from Medals UK, featuring the Bodyflight World Challenge logo and of course the title of Bodyflight World Challenge Champions, if it were me – I’d be walking on air! 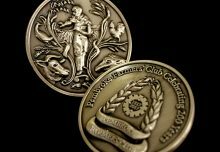 We’re delighted to have produced the winners’ medals for this spectacular and unique World Championship for the last 12 years. 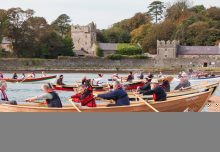 We want to wish the very best of luck to all competitors and look forward to sharing your medals pictures on our social media channels. 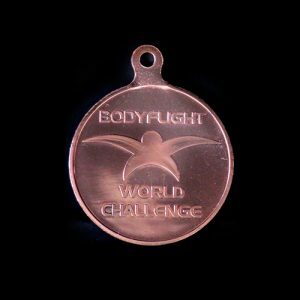 Bodyflight World Challenge Medal in Bronze. 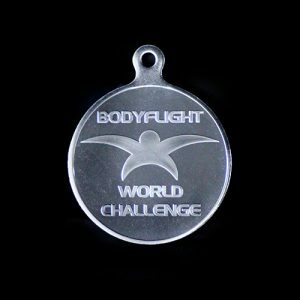 Body Flight World Challenge Winners Medals in Gold.